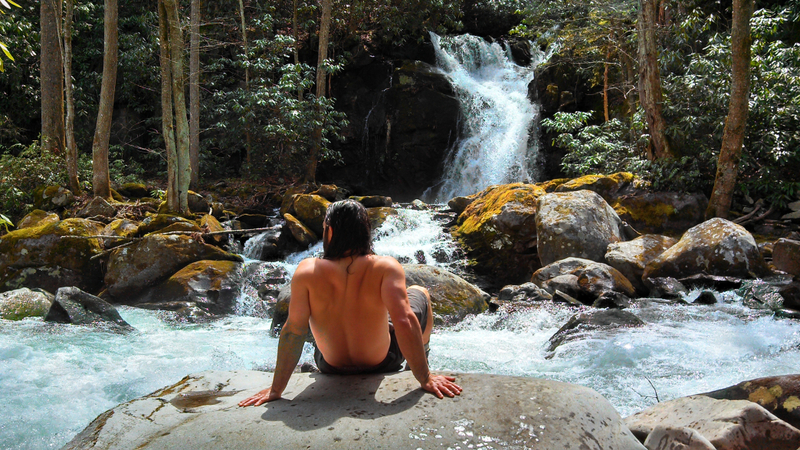 A meandering hike along roaring cascades into one of the most beautiful drainage basins the Great Smoky Mountains National Park has to offer. 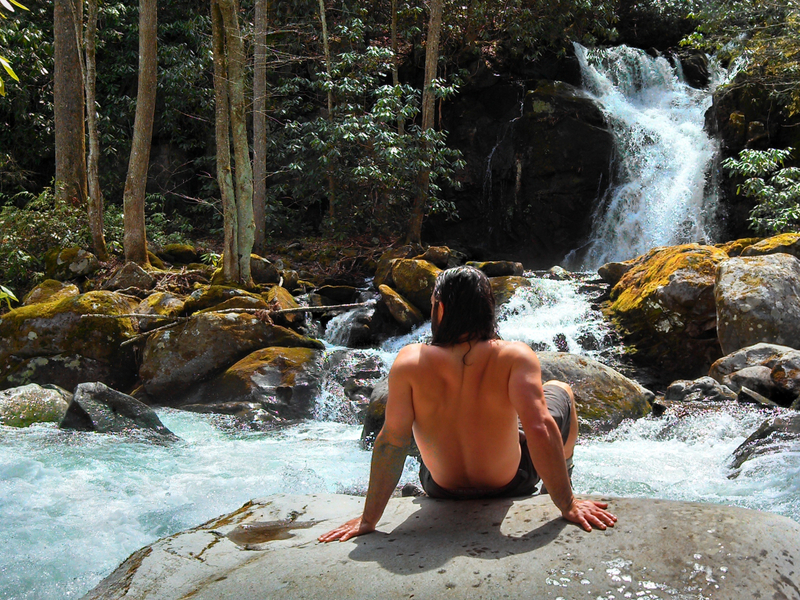 When we take the time to relax beside the roaring waters of an Appalachian stream something incredible happens to our psyche. The roaring thunder of the water drowns out all the worries and doubts you carried with you from “real life” to the trailhead. The continual flow of a mountain stream ignites an innate sense of oneness with our surroundings and reminds us that time marches on. On the Northern edge of the Great Smoky Mountains National Park a stream rambles in perpetuity from the Balsam covered mountains above until reaching its confluence with the mighty Pigeon River below. The headwaters of this stream are born from some of the highest peaks in the park: Mt. Sterling, Big Cataloochee and Mt. Guyot. As the tributary waters rush down these steep slopes they are purified by the lush flora of the Great Smokies before combining their efforts into what is known as Big Creek. The Big Creek trail starts from the upper side of the parking lot and follows an old logging road, up a gentle grade, for 5 miles before reaching the Backcountry Campsite known to locals as Walnut Bottom. The majority of the trail parallels the creek and offers picturesque views of the water. Massive, moss-covered boulders are strewn about the creek creating a symphony of rapids to enjoy throughout your hike. 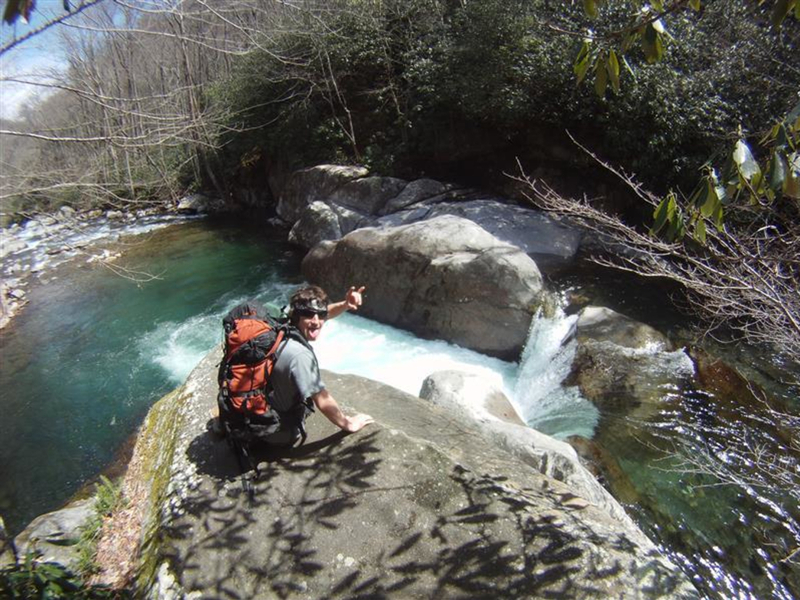 A mile and a half into the trail lies the infamous “Midnight Hole.” A short scramble, down a noticeably tracked-out trail on your left, leads to the base of a pristine swimming hole surrounded by large boulders that were seemingly placed for your jumping enjoyment! Another half mile up the trail, on your left, lies Mouse Creek Falls which plunges out of a steep ravine into Big Creek at a photo-worthy confluence. After Mouse Creek Falls the trail continues to follow the contour of the creek for Creek another 3 miles until you reach Walnut Bottoms and Backcountry Campsite #37. 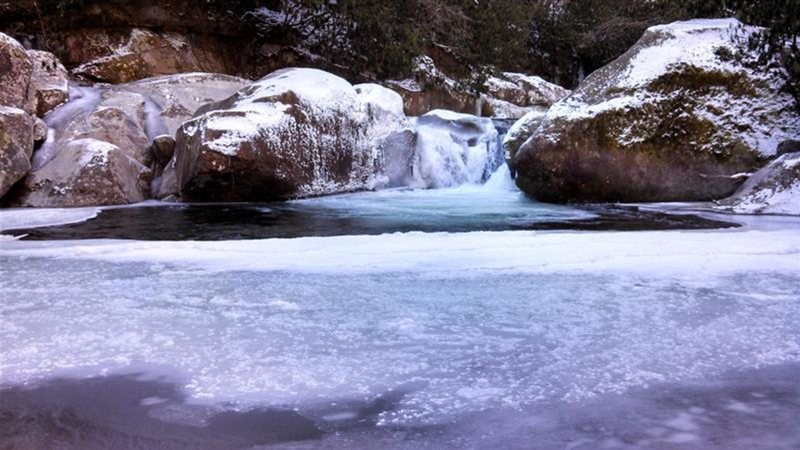 If you are a fan of Appalachian swimming holes bring your bathing suit and enjoy a refreshing dip in the cool waters of Big Creek. The creek runs cold all year long so be prepared for a polar plunge type experience that will rejuvenate your body and soul. The Big Creek trailhead has a large picnic area with charcoal grills located beside the river. Plan ahead and enjoy a nice warm meal beside the creek after your day on the trail. 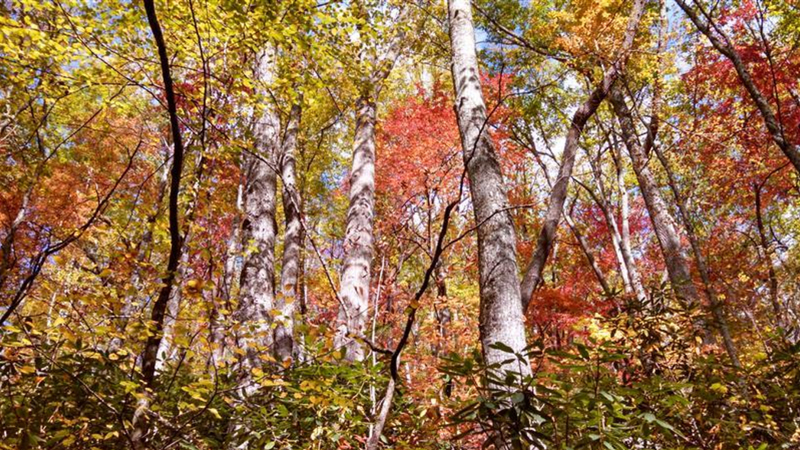 The easy grade and playful nature of the Big Creek Trail make this area great for all ages and ability levels. To reach the Big Creek trailhead from Asheville head west on Interstate 40 to the North Carolina/Tennessee state line and take the Waterville exit (451) on your right. Take a left and cross over the Pigeon River via a bridge shared by the Appalachian Trail. Continue on this road until you reach a 4-way stop. Go straight through this intersection and follow the signs for the Big Creek trailhead. The Big Creek ranger station is located a quarter of a mile past this intersection on the right. Stop here to get more information on the area and a detailed map for a requested $1 donation. Continue up the road for 1 mile until you reach the parking lot for the Big Creek Campground/Trailhead. There are bathroom facilities and a gorgeous picnic area located beside the trailhead. There is no fee for day use but a permit and small fee is required to stay at the backcountry site in Walnut Bottom.